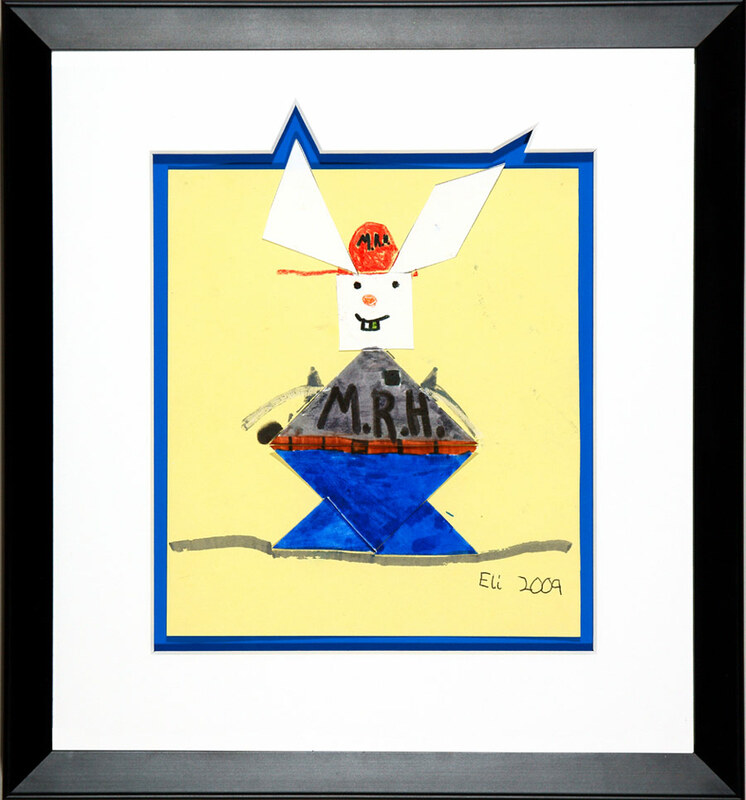 Below are a few examples of children’s art framed in our shop. We are very pleased to display some of the art created by young artists. 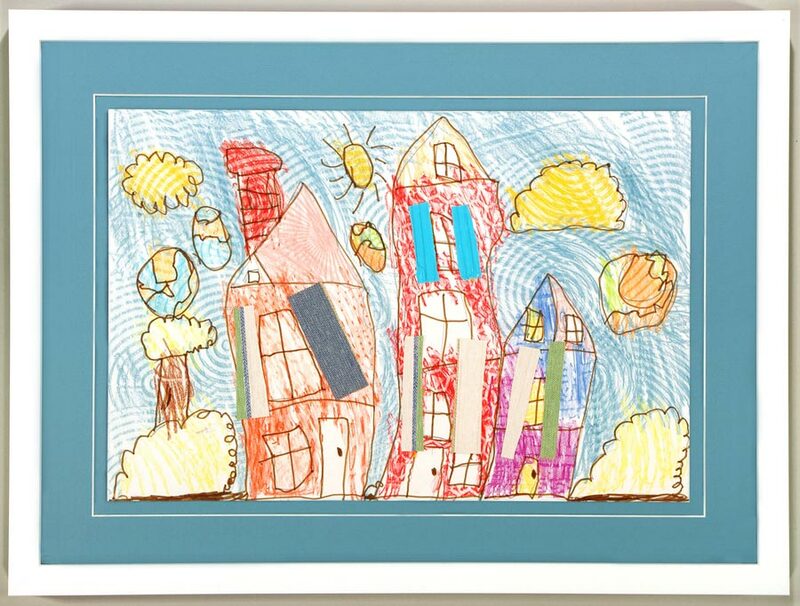 We take our time and work with both the children and their parents when framing their art. 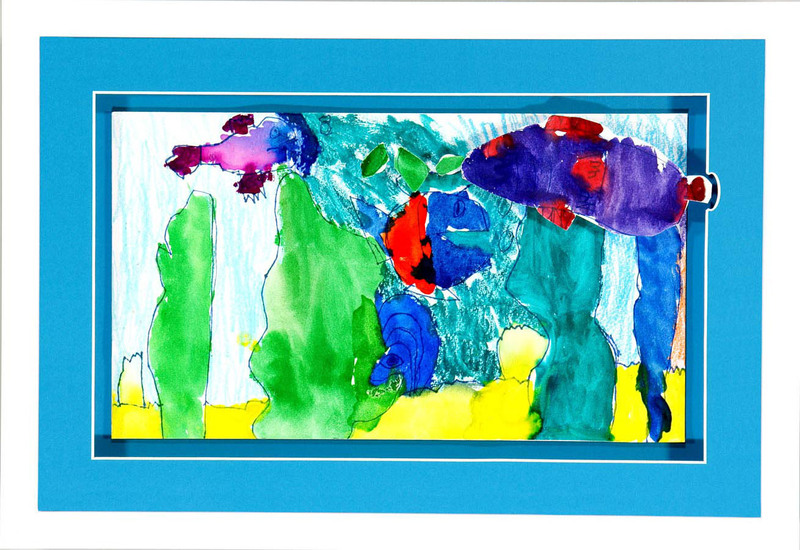 We encourage you to preserve your child’s art by having it custom framed. If you have questions or wish to discuss framing options, feel free to contact us. Framed original child's art of a rabbit with large ears. The mat has been custom cut to match the shape of the ears, which adds character to the art. A white mat is used to draw out the vivid colors of the artwork. A simple black frame completes the art. A bright orange frame was utilzed to accentuate the lion along with an inner mat of yellow and orange. These color combinations help to draw the eye to the focal point of the art. This example uses a technique known as “floating” the artwork to achieve depth. Blue mats and a white frame are used to match the artwork. All of the children's artwork framed in our shop is framed using conservation framing materials and techniques. 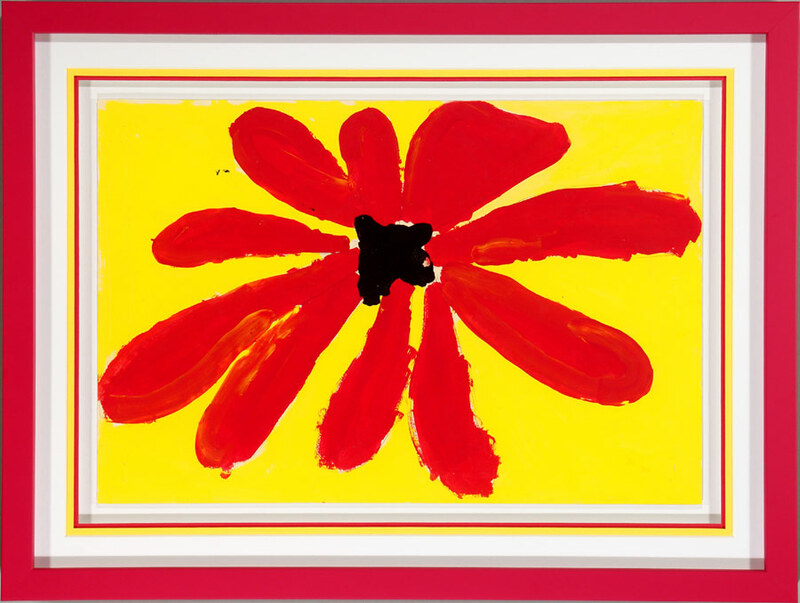 A bright deep pink flower uses mats and a frame to matching the colors of the artwork. We frame children’s art in a number of ways. However, most often the choice of parents is to use mats and frames that match the artwork. 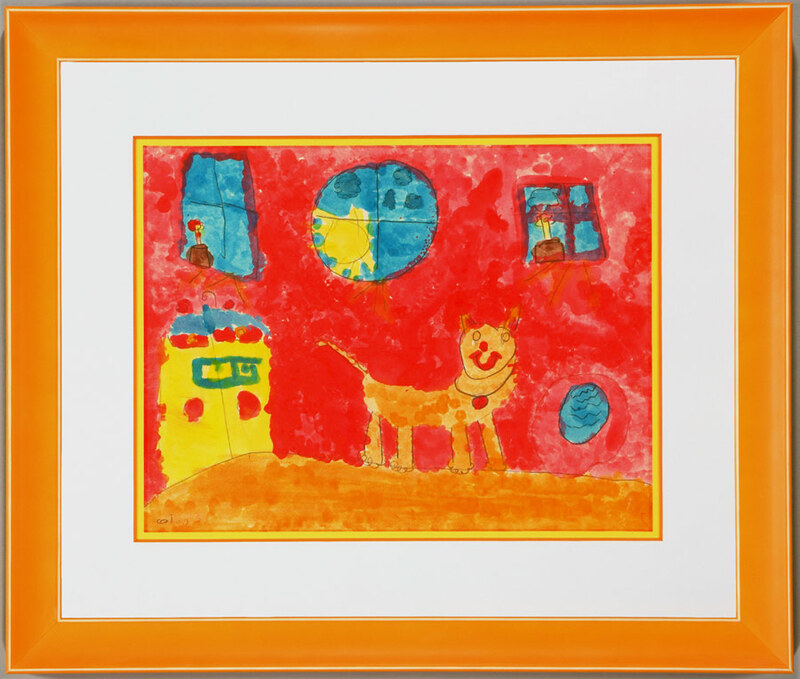 The bright colors are fun and youthful..
Another very special original child's art framed with colors to enhance the art.